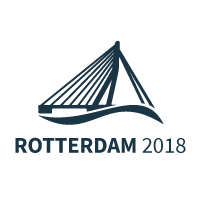 Would you like to be part of ‘Rotterdam 2018’? Depending on the capacity in which you would like to participate, there are different actions you can take to be part of the session. If you would like to be a delegate, the best thing you can do is to contact EYP in your country. Delegates are selected by National Committees of the EYP. Note at this time, most National Committees are already well into the selection process. If you would like to be an official at the session, keep an eye on the session’s Facebook page. Calls for applications will be published here. If you represent any kind of organisation from the private, public, academic, philanthropic or any other sector, please get in touch by sending us an e-mail. There will be a number of moments at the session during which external guests are welcome to visit. If you would like to come and visit a part of the session to observe, please get in touch by sending us an e-mail.